Ronald Robillard, owner of RonRob Woodworks is a man who believes you should’t waste your hard earned money on furniture that’s not built to last. RonRob woodworks started many years ago as a dream. After serving in Vietnam and returning home to work in a local paper mill, Ron longed for the days when he could answer to only himself and make a living doing what he loves. 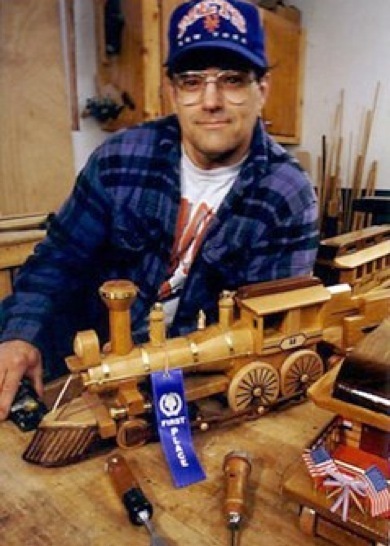 Piece by piece he collected the equipment needed to design all kinds of furniture and fine tuned his skills making everything from toy trains to full custom kitchens. It didn’t take long for the word to get out and Ron began taking orders from friends and family for new bedroom sets, entertainment centers, and kitchens. Every piece he makes impresses all who see it, and to date, repeat customers and word of mouth remain RonRob’s best advertising. Today there is a continual waiting list for those seeking his unique pieces, but he’ll assure you that it’s definitely worth the wait.